When the full implications of aether science become known to humanity at large, a very significant paradigm shift will be necessary. For this reason, a philosophical foundation that connects aether theory and consciousness must be carefully constructed, before the chapters that will discuss anti-gravity, free energy and other technological applications. The readers who are not inclined to philosophy may not have thought about the issues of zero-point energy, unified field theory or aether science in the way that we will present them, which will incorporate many controversial scientific discoveries for emphasis. For others who may not normally study science or physics, or even be aware of the work regarding aether theory, a significant effort and time commitment may be required to fully digest the material in this book. (However, from previous experience we already know that some readers will stay up all night and read it in one sitting!) This is another valuable reason for discussing philosophy now; the non-technically inclined reader will have a much greater ability to see the context of the discussions that follow, and very likely have a far greater interest in working through the rest of the book, a chapter at a time. We begin this chapter with a brief, preliminary investigation of the universal energy force whose existence is crucial to understanding everything in this book, technologically and otherwise. It is important to remember that this is only a very brief description, and will be enunciated in much more detail in later chapters. After this initial description of the energy involved, we will cover the wealth of information that suggests its involvement within the arena of consciousness. "Maxwell / Whittaker scalar-wave physics"
and any number of “Unified Field Theories,” all agree that our physical reality arises from this hidden energy substance, which creates all that we know and see by vibrating. And thus, like fishes in the sea, the pressure of this energetic “fluid” constantly surrounds us, though we do not normally notice its presence. In this wealth of new data, the aether fluid is a source of tremendous energy that is in constant vibrational motion, flowing through all objects in the Universe, creating and recreating them every second -- just as a candle flame is constantly absorbing new wax and oxygen and radiating new heat and light, but still continues to exist as a measurable "unit." Should this aether ever stop flowing and swirling about with such an intelligent, purposeful behavior, all mass would shed heat, gradually "dissolve" and return to its primordial energy state; the "flame" would go out. It is important to remember that this new theory is not simply an abstract notion being entertained in the minds of amateur "crackpot" scientists working out of garage laboratories. Or, to put it metaphorically, this "pot" is not cracked at all; it is just about ready to fill up to the brim and start spilling over into the mainstream public consciousness. The most significant forces that resist such a “disclosure” are arguably those connected to the fossil-fuel industry, as we will outline clear, irrefutable evidence that this technology can be harnessed for producing limitless “free energy” for all of humanity. Obviously a commercially priced anti-gravity system would render our entire fossil-fuel based world of cities, highways and transportation systems obsolete. In order to lend proof to the idea that the “aether” really exists, Dr. Puthoff reminds us of experiments that were conducted before quantum mechanics theory ever existed, which were designed to see if there was any energy in “empty space.” If these areas of the universe are truly empty, then nothing should be there; no electromagnetic fields, no X-rays, no heat, no energy, nothing. In order to test this idea in the laboratory, it was necessary to create an area that was completely free of air (a vacuum,) and shielded from all known electromagnetic radiation fields. The shielding of this “empty” area from energy fields was accomplished by using what is known as a Faraday cage, which is lined with lead. This airless vacuum was then cooled down to absolute zero – the temperature where all matter should stop vibrating and thus produce no heat. At this point, all conventional explanations, having to do with what physicists call the “conservation of energy,” would simply say that it should be a dead, lifeless “vacuum.” You’ve cooled it down to zero degrees Kelvin, sucked out all the air and shielded off all the energy fields. That’s it; now you’ve got a “dead” space. These experiments proved that instead of an absence of energy in the vacuum, there was a tremendous amount of it! Dr. Puthoff has often called this a "seething cauldron" of energy in very high magnitudes. This force was dubbed "zero point energy" or ZPE. The term “zero point” was used for two reasons. The first reason is that you can still find this energy at “absolute zero”, where there should be no heat or any other form of energy remaining. The second reason is that the pressures of this energy field usually cancel out to zero, or what is known as a vector zero resultant. That complex-sounding term simply means that this energy applies force (vectors) equally in all directions, and thus to us it has no typically measurable movement or force; it just cancels itself out as a result. However, Lt. Col. Tom Bearden points out that if you set two fleas into a head-to-head pushing battle and neither one of them can move forward or backward, you could measure the pressure in the area between their heads and have a vector zero resultant. However, if you measured the pressure between two elephants going head-to-head the same way, you would also have a vector zero resultant. Therefore, Bearden suggests that different areas of space can have different pressures of energy, which are not normally noticeable or measurable to us. He refers to these invisible energy forces as “scalar waves,” and has built detectors that allow us to measure them, using coils that are shielded in Faraday cages. The amount of energy in the volume of vacuum space contained within a single light bulb is concentrated enough to bring all the world’s oceans to the boiling point! Imagine, just for a moment, what might be possible if you could harness this energy for your own miracle healing power. Or for psychic ability. Or to levitate your own body, or other heavy objects. We are not afraid to say that the energy to do these things is already there! How many of our readers will completely discount every reported miracle of Jesus and other spiritual adepts and masters? If you resist the idea that such possibilities exist, then this book is probably not for you. Lt. Col. Bearden reminds us that when we tap this energy for our own needs, it is the equivalent of dipping a teaspoon into the ocean. This limitless reservoir of energy around us is of far greater magnitude than we could ever dream of. Once we accept this energy’s existence, many problems in quantum mechanics clear up. The very existence of atoms, as now seen in quantum mechanics theories, cannot be adequately explained with our existing models. (We will have much more to say on this as the book progresses.) Dr. Hal Puthoff notes that mainstream quantum mechanics theory does not understand why an electron does not simply radiate away all of its energy and crash into the nucleus, as a satellite will eventually do in Earth orbit. If there is such a thing as an “electron,” it would indeed appear to be akin to a tiny perpetual motion machine. When asked, quantum physicists will usually just say that this strange behavior is "the magic of quantum mechanics." Problematically, they propose a ’closed system’ where energy is radiated out but no new energy can come in, even though every physicist knows that "Energy can neither be created nor destroyed." However, if the electron itself were constantly drawing energy from the ZPE or aether, as Dr. Puthoff suggests, then it would be able to sustain itself as an ’open system’ just like a candle flame, where energy is constantly flowing in and flowing out. More and more researchers are unafraid to use the forbidden word "aether" when discussing zero-point energy, this flowing background substance of the Universe that can be proven to exist everywhere. The word "aether" had essentially become "taboo" after the Michaelson-Morley (M-M) experiment supposedly disproved its existence in 1887, even though all it truly did was to disprove the existence of a material aether, which would be a literal physical substance of matter that was hanging in the air like a gas. The original idea for this experiment was not to prove or disprove the aether’s existence; it was simply to measure how much was there. The experiment proposed that as the Earth moved through space, there would be a “drag” of aetheric substance that could be measured in the direction of Earth’s travel, similar to ripples on a pool of water as you move your hand through it. There are several problems with this being used to “disprove” that there is an aether. Firstly, conventional science does not understand that gravity is the primary movement of aether on Earth that we can measure, which overrides the “aether drag” of Earth’s movement through space. To a person inside the gravitational field, gravity would be the only noticeable aetheric movement; it shields us from other movements. Secondly, they did not realize that the aether was also forming the measuring instruments as well as the measurement area, thus making any measurement of such subtle changes impossible! Any change in the surrounding area will also produce a change in the instrument itself. Even though M-M did not disprove the existence of a non-material energy source such as ZPE, even the use of the term “aether” now is likely to create automatic rejection from society’s scientific authorities. As long as people continue to “believe” in the scientific fraternity’s inherent trustworthiness without examining the facts for themselves, this game can be perpetuated. And even though we cannot “see” the aether directly, we also can’t see the bacteria on our skin, the air that we breathe or the gravity that holds us to the Earth. Thus, even though one might feel that something “nonphysical” means that it cannot exist, all it really means is that it is not directly perceptible with our natural sensory organs. By virtue of the fact that consciousness exists, it must be a function of the Unified Field, whatever that turns out to be. And in his book A Brief History of Time, well-known physicist Stephen Hawking predicted in the late 1980’s that this Unified Field Theory would be solved within twenty years. The concept of a consciousness that is inherent in the energy of the universe is no longer in the realm of the spooks and spiritualists, as modern quantum physicists have discovered irrefutable evidence that the expectations of the experimenter can dramatically affect the outcome of the experiment – the quantum energies involved “know that they are being watched.” Anyone can go to the science section of their local bookstore and find scores of titles that will discuss this, such as the classic Dancing Wu-Li Masters by Gary Zukav, who is now well known for his frequent, insightful appearances on the Oprah Winfrey show. Furthermore, we also know that this conscious interaction with “matter” doesn’t have to stop with the quantum arena. It is also important to remember that the subjects for these sorts of experiments are not heavy-duty psychics, but ordinary people; so we are not talking about something that is only available to certain “elite” humans in our society. These experiments clearly reveal that the human being possesses untapped potential that has not yet gained mainstream scientific acceptance. So therefore, if the entire Universe is composed of a unified field, or One Unified Conscious Energy Source, then as we said, we are also a part of that field; our consciousness can interact with it at many levels. And though many of us have not reached consensus about who or what God actually is, we must also follow the logic and admit that all of our most fundamental conceptualizations of God must be considered in this model as well. And when we strip away the religious and denominational distinctions of various belief systems on the planet and try to weave a single thread through their teachings, we are left with the simple fact that the fundamental nature of God’s Energy is Love and Light. And since its nature is loving, we are told that it seeks to have everyone else feel the same way; it is continually striving to have each conscious life form in the Universe reunite with that Love and Light as much as possible. Hence, Jesus taught us to “Love thy neighbor as thyself.” We are told that God is evolving, through the free-will decisions of its apparently separate participants. The whole universe changes as we choose to reunite in Oneness. The key point that can connect the concepts of God, Love and physics is the idea of sympathetic vibrations, as researcher John Keely suggested. Keely reminds us that this principle is easily seen with a tuning fork. If you strike a tuning fork and have another nearby of similar proportions, the sound vibrations will mysteriously "carry over" to the non-vibrating fork and cause it to resonate on its own. Similarly, we have different people, different nations, different planets, and we can either choose to love and get along with each other, or choose to hate and destroy each other. So, in the simplest possible sense, we can either have faith or simply postulate that the entire universe is One Being with One Mind, and that both the nonphysical aether and physical matter is all a fundamental part of that interconnected being. The world’s spiritual teachings all tell us that God seeks Oneness, unity and connection, and they also associate this quite directly with the concept of vibration. To use an analogy given by Dr. Walter Russell in The Secret of Light, we can take a single wire, bend it 90 degrees and begin rotating it. At slower speeds we can easily see the wire, but the faster we vibrate it in circular motion, the more it will appear as a completely solid disc. This is a model for how our apparently solid matter could be seen as ultimately composed of non-solid energies vibrating at a certain frequency, but it is also a model that allows us to see how the higher the vibrations rise, the more stable and Unified their composition will become. Therefore, Unity or Oneness is the point of “singularity” where all vibrations become simultaneous: all colors become White Light and all space and time merges into a single “moment center” – which we will cover later in the book. Again, the closer we get to the “moment point” of Oneness, the higher the vibrations will become – and the model of physics in this book will show us very concretely how this is working, if we are willing to accept that simple philosophical premise. Love is the tendency for entities within the Unified Field, whether human, “particle” or otherwise, to increasingly vibrate towards Harmonic Unity or Oneness. We have stated that this motion of Love is a factor in physics, such as at the quantum level, as well as in human beings. Consequently, the aether that forms all objects in the Universe must be in motion. But why must there be motion, you ask? Without motion, there is no Existence. If ultimately the universe is comprised simply of a Unified Field, then something has to happen within that field to create change – it can’t just “sit there.” In other words, if the field remained static, unmoving and unchanging, then you couldn’t build reality, as on the most fundamental quantum level, energy has to move in order to function. That movement is a vibration; therefore, all elements of this Unified Field could be seen as existing fundamentally as vibrational motion. If the nerves in your brain were not capable of vibrating energy through themselves and into the appropriate areas, you would not be able to think or operate your body in any capacity. If blood did not vibrate through your veins by the action of various muscular contractions, you would die. If electricity is not allowed to vibrate through the circuit boards of your computer, the computer will not function. If the energy in atoms did not move, we couldn’t perceive them and they couldn’t bond with each other to form basic chemical compounds. So for you, the human being, it is important to see that in a very direct neurochemical sense, every thought and action, however small, is creating a form of vibration in the aetheric energy that surrounds and creates you. If the electrical interactions in your brain and body were only occurring in the context of “empty space” surrounding you, then you might not expect them to travel outside of the barrier of your skin to the air– but we now know that there is no empty space in the Universe. If all energy is unified as one field, as aetheric energy, then any movement of energy within that field must resonate throughout it – including the movement of consciousness. Think about it this way. Your body couldn’t function very well if each cell declared itself separate from the body and shut down, refusing to “vibrate” with the rest of the body systems. It is for this simple reason that the world’s spiritual teachers all suggest to us that God has an agenda, seeking to reinforce the loving, unifying thoughts and actions. How could one part of the body rage against another if the body is to perpetuate itself through cooperation? No one can deny that each one of us wishes to be happy – it is written directly into the Constitution of the United States as one of our most fundamental “rights.” Why should God be any different? So, if your consciousness is actually creating “ripples” of vibration in this sea of nonphysical aether energy, then the more loving you become, for yourself and for others, the more this causes you to strengthen your vibrational fusion with the energy of Creation. And ultimately, this fusion is a point of no space / no time and all space / all time. Geometrically, it is the Center. Love is a radiating, strengthening, unifying force, moving towards the central point of Oneness, whereas hate, or the absence of love, is an absorbing, dis-integrating, weakening force, absorbing energy away from the central point of Oneness and compartmentalizing it. So, although it does indeed bend the mind somewhat to think of Love as an actual tangible energetic movement, there are an ever-increasing number of people who are working on their spiritual growth and healing processes who speak about this “energy” constantly. Even as science is making great strides in many very important ways, we must also respect how many spiritual strides are occurring in our society as well. More and more of us are becoming cognizant of the bigger pictures that define reality as we know it - and we are not afraid to follow the clues to their new solutions. Science no longer needs to be compartmentalized to the degree that the physicist goes to church and prays to God on Sunday, and then spends the rest of the week in the laboratory trying to disprove its existence. Indeed, the conscious aether itself is arguably the most direct energetic manifestation of God that we will ever find – and as we have said, all spiritual traditions seem to agree that God is Love and Light. Certain replicable experiments, including Cleve Backster’s various polygraph experiments with plants and other forms of life, and a host of mind-body medicine studies in humans, reveal that hatred destroys life and love enhances life. Although we could argue about the cause, the fact remains that when a human being sends harmful thoughts to a plant, it goes into great alarm and shock and will eventually wither and die, whereas other equally valid experiments showed that if a human being sends love to a plant and / or plays music around it, the plant will blossom and grow more vigorously. This methodologically sound research was originally highlighted in the extremely popular 1970s book known as The Secret Life of Plants, and more recently in another book known as The Secret Life of Your Cells, by Dr. Robert Stone. The “Backster effect” demonstrates that plants are very well attuned to the energetic vibrations within their environment. It has been demonstrated and recorded countless times, eliminating all extraneous variables with strict design protocols. Cleve Backster had many years of police experience in administering “lie detector” tests, where a human being would be set up to a machine that measured minute electrochemical changes in the skin. This process, known as polygraph testing, would produce data in the form of a continuing graph on paper, similar to a measurement of heartbeat or other vital signs. The stylus that deposited ink on the paper was designed to wiggle in accordance with any changes in the person’s Galvanic Skin Response, or GSR, which is basically a measurement of how well the skin conducts electricity. If the person suddenly felt the internal stress of telling a lie, their physiological system would reveal that stress through such things as an increase in heart rate, breathing and perspiration. Any of these increases would change how well the skin could conduct electricity, and often quite abruptly. So, after many years of work in this field and becoming one of the top polygraph experts throughout the country, Cleve Backster got the idea one day to delicately connect the same metallic terminals that he normally would connect to a human being for a “lie detector” test to the leaf of a plant, and graph the plant’s electrochemical changes. Over time, he discovered that the plant was somehow responding to its environment quite directly; anything that may damage the plant in the outside world seemed to cause a reaction. Cutting the plant seemed to be nowhere near as traumatic as burning the plant, however if he pretended that he was going to burn the plant but knew that he wasn’t actually going to do it, the plant wouldn’t respond. It was only when he formed a clear mental image of grabbing a book of matches, lighting a match and holding it to a leaf that the graph would register a sudden spike – the plant was going into shock, sending as much extra moisture as possible to the leaf in order to protect itself against any damage. This effect also ripples throughout all other plants in the vicinity. Some will dismiss this research out of hand, no matter how many charts and graphs they are shown, or even if it is demonstrated right in front of them. On the other hand, other people who are more open-minded would choose to interpret this experiment as indicating that the plants are thinking creatures just as we are. However, at the most fundamental level, we must consider that either way, there has to be a means by which the thoughts of the human are being transmitted to the plant – there has to be a medium through which consciousness can travel. Mainstream science has not yet acknowledged the niche where this medium would exist; namely aether or zero-point energy. Novel theories of a chemical “message” being sent through the air are certainly possible, but the effect works just as well when the plants are isolated from each other, thus prohibiting any such form of communication. So again, let us use our example of love as representing a higher level of vibration in the aether. The plant may not have any “emotions” as we would think of them as humans, but simply is responding to changes in the vibrating resonance of aether that constantly surrounds and thereby creates it on a moment by moment basis. In other words, when a person sends loving thoughts to a plant or plays it music, the aetheric energy that the plant draws on for growth and development is increased, and it thereby becomes more vigorous. Similarly, when Backster sent hateful thoughts to the plant, the frequency of energy around it actually decreased, and based on the plant’s primitive design, this energy change triggered a natural survival response as a result. Backster also demonstrated that the plant’s shock response could just as easily be caused by the suffering of other creatures in the same area. He designed a series of experiments where a machine would randomly dump brine shrimp into a bath of boiling water while he was not present in the building. The plant naturally and immediately responded to the death of brine shrimp in its environment, reacting with the electromagnetic vibrations that were present in the area; it wasn’t necessary for a human to send negative thoughts to the plant. Hence, inharmonious aether vibrations, no matter who or what creates them, could be seen as leading to inharmonious and even toxic growth conditions, whereas loving aether vibrations enhance the speed and vigor of vitality that streams into the plant, as other experiments clearly demonstrated. Pain, death and hateful thoughts draw away energy from the aetheric forces in that area and reduces the plant’s ability to grow. The Backster effect has also been demonstrated with bacteria – an even simpler lifeform than brine shrimp. We attended a lecture of his that was hosted by Walter Russel’s University of Science and Philosophy on September 8, 2000, and during this talk, Backster revealed that he discovered the bacteria effect after pouring a pot of boiling water from the coffeemaker into the sink in his laboratory. His plants, which were always connected to the polygraph machine, registered a huge and immediate shock when he did this, which he later found on the printout. Obviously, he was very puzzled as to what had caused this at first, and had to think carefully about what he was doing right at the moment that the shock had registered. Once he traced it back to the boiling water, he sampled the sink with a cotton swab and analyzed the specimen under a microscope. He then got the answer, which was that a huge colony of bacteria was growing in the sink, which he did not clean regularly! Subsequent experiments proved that the plants consistently reacted to the death of the bacteria. This unexpected result was what led him to perform the brine shrimp experiments indicated above. From this point, he later determined that yogurt could be used in his experiments in place of plants, due to the living bacteria cultures within it, and it would perform in exactly the same manner. The conductivity of the yogurt allowed him to put electrodes into it in the same fashion, and he was able to measure similar polygraph reactions as the plants had shown. For example, when he had connected the yogurt to the polygraph and then had someone eat a separate yogurt sample, the yogurt would register a shock reaction perfectly in time with the small number of seconds that it took the digestive juices of the stomach to begin breaking it down. Likewise, yogurt in a given room would respond to anything damaging that happened to a plant nearby. At one point, Backster attended a scientific presentation that involved the Planaria worm, a small centimeter-long flatworm with two knobby “eyes” at one end of its body. In this experiment, the researchers were attempting to prove that knowledge from one worm could be transferred to another worm that had eaten the remains of the first. So, the hypothesis was that if a Planaria “learned” not to go to a certain area that would damage its body, that knowledge would become stored in its cells and could be transferred to another worm that was fed the remains of its body. The first Planaria would be placed in a petri dish that had a caustic chemical at its rim, so it would learn through hard experience not to travel to the edge. After learning this lesson well, it would be diced up and fed to the next worm. The researchers would connect polygraph electrodes to each Planaria that was placed in the dish, in order to register the occasions when it was being shocked by contacting the chemical. “Do you want to know what’s really going on?” Backster asked the lead researcher. “Sure,” the researcher challenged. “Watch this,” Backster said. He went over to the flask that contained the whole colony of Planaria worms and gave it a good shake back and forth. The Planaria in the dish gave such a huge reaction that it spiked the graph right off the paper! The researcher immediately dashed over to the graph and started checking underneath the machine for a loose wire or a malfunction; Backster simply laughed, put his hands in his pockets and walked away. Simply put, what happened to one Planaria happened to all the Planaria, and a primitive form of “group consciousness” traveled through supposedly empty space, seeking to teach the group its lessons for survival. Backster’s studies involving human cells, as documented in Dr. Robert Stone’s book, are perhaps even more interesting. In this case, the epithelial (skin) cells of a human being, gathered from inside the cheek with a cotton swab, were stored in a separate room and connected to a polygraph machine. Backster was able to prove repetitively that the cheek cells would demonstrate sudden responses that corresponded precisely with the timing of tailor-made emotional shocks that were carefully induced to the participant. It wasn’t necessarily easy to ethically shock a human being, so there was no “standardized” way to run the experiment. The tailored shocks were administered through such methods as the viewing of violent movie footage that would have a particular emotional impact to that individual, such as a World War Two fighter pilot veteran watching a film of an airplane being shot down. In such a case, as the ex-pilot squirmed in his chair, creating electromagnetic frequency changes in his Galvanic Skin Response, his cheek cells would squirm in the next room in the same measurable way. Another example would be to leave a young man in a room with a pornographic magazine, and to then barge into the room after he had started looking at it, creating a rush of embarrassment. His cells showed the same response in the next room. Therefore, shocks and negative emotions in the mind are instantaneously moving throughout the cells of the body and affecting them, whether those cells are connected to the body or not! If space has no medium in it that allows consciousness to travel from one area to another, then how could this be possible? Backster’s findings with our cells help explain the fact that cancer is now shown by medical professionals such as Deepak Chopra and Andrew Weil to be a direct manifestation of anger, or the resistance to love. These studies also reveal that those who are the healthiest and live the longest are also the happiest and the freest from worry, fear and hatred, thereby accepting love into their lives. In other words, stress and shock are not simply isolated from the bodily system; they fundamentally affect all cells of the bodily system. What had once seemed to be metaphysical speculation is now becoming an established medical fact. If you want to live longer, you need to have effective stress management skills, and learn how to communicate effectively to dissipate your anger. In the December 1988 issue of the Journal of Conflict Resolution, a methodologically sophisticated article appeared which claimed that groups of meditators practicing Transcendental Meditation and the more involved TM-Sidhi Program in one place could influence the level of conflict in nearby locations (Orme-Johnson et al. 1988). This phenomenon is labeled the “Maharishi Effect” in honor of Maharishi Mahesh Yogi. The article was considered controversial when it was published, and by all accounts it still is. And in the case of the Transcendental meditators, somehow the process of stilling the mind, having loving thoughts and breathing deeply is causing there to be a raising of vibration, which then ripples through the consciousness of humanity much as the lowering of vibration through pain had rippled through the Planaria worm family in Backster’s demonstration. It comes, in general, as a shock, quick and sharp, before you can collect your thoughts, or help yourself in any way, and you see and feel it as a cloud, or a strong eagle rising upwards and carrying you away on its wings. This author and others have personally felt the preliminary stages of what St. Teresa was describing, including a “quick and sharp feeling before you can collect your thoughts” and a feeling that “your soul was carried away” through the top of your head. Wilcock has named this phenomenon the “ear blast,” since it seems to originate as a pulsating vibration in the ears that causes, or is a result of, a sudden, shocking vibrational increase in consciousness. In our case, this has never gone fully into levitation of any kind, but there is still hope! Mainstream Catholic records report that St. Joseph of Cupertino (1603-63) was literally able to fly eight or more feet above the ground, and this was publicly observed over 100 times. Once he also grabbed onto another friar and carried him around the room, and soon after his death, fellow witnesses confirmed under an oath before God that they had seen St. Joseph levitate. It is highly unlikely that they would have lied, given what such an oath would have meant for them. More recently, we have the case of Mr. DD Home who has also been documented as levitating his body in the 19th century, by reputable scientific researchers, world leaders and crowned dignitaries who observed it firsthand in the eastern Lake Ontario, Canada area from 1820 to 1850. Not only could Home levitate, he could perform many other feats, including plunging his hands or head into fire and not getting burned, and even levitating an accordion inside of a cage and playing a tune on it. Michael Talbot’s book The Holographic Universe contains a treasure-trove of fascinating accounts just like this one, and should be considered “required reading” for those who truly wish to study and integrate this new paradigm. Regardless of what any particular reader is willing to believe regarding metaphysical phenomena such as levitation, there are certainly an ever-increasing number of people who are having valid mystical experiences and are reluctant to discuss them in public for fear of ridicule. In October 2000, an otherwise ordinary furniture salesman revealed to this author that his son had levitated three feet off the ground in a well-lit room during a séance – and it was only after Wilcock revealed the truth of his career and findings that the man had enough trust to offer the information. Naturally, a skeptic will just continue to say “He’s lying” unless the proof is individually witnessed – other certified witnesses such as in the case of St. Joseph of Cupertino are ignored. However, now we can loosen those shackles, as the existence of the conscious aether makes all varieties of mystical phenomena possible, by providing a medium for consciousness to travel through and thus cause action-at-a-distance, even to the point of causing the direct levitation of objects or the human body. And telekinesis has very definitely been studied in the laboratory setting. Rigorous studies of the phenomenon of psychokinesis were conducted in the former Soviet Union and Czechoslovakia, later reported on in the unclassified Defense Intelligence Agency’s Soviet and Czechoslovakian Parapsychology Research (U), by Mr. Louis F. Maire III and Major J.D. LaMoth, MSC, published September 1975. Since it appears that these countries were far ahead of the United States in this research, it is worthwhile to pursue these leads - as most Westerners are not aware of the degree of scientific progress that has been made in the former Soviet bloc on these areas. In these studies, the aetheric energy being harnessed is referred to as “bioplasma.” We have italicized certain portions of this rather long excerpt below for emphasis. 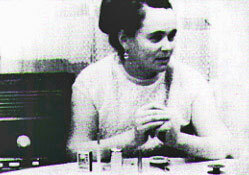 In 1973 and 1974, a Soviet psychic named Boris Ermolayev participated in a series of experiments at Moscow University. Ermolayev is reported to have the ability to levitate (suspend) objects in midair by concentrating psychic energy at a focal point in space. (40) In some of the tests, Ermolayev pressed an object between his hands, then slowly moved his hands apart until they were approximately eight inches from the object, which remained suspended in the air. Soviet scientists claim that all tests were conducted under the strictest controls and that no strings or other devices of any kind were used. Dubrov feels that Ermolayev’s levitation powers can be used to prove that space-time and gravitational changes occur in the area between the psychic’s hands and the object. He suggests that the transmission of electromagnetic energy of known velocity should be delayed when beamed through the levitation field. Mrs. Kulagina experiences considerable stress while she is being tested. Her pulse increases, as does her rate of breathing; she develops pain in her upper spine and the back of her neck. At the onset of her "activated" state she feels thirsty and has a taste of iron or copper in her mouth. During the activated state she experiences occasional periods of dizziness and nausea. Her blood sugar level rises and within one hour following cessation of tests, a loss of weight (1.5 - 2.0 lbs.) occurs. She experiences less stress when alone, and claims to respond best in an atmosphere of friendly mutual trust and belief. Her PK ability is mood dependent (her mood and the mood of the observers) and she expends more energy in a hostile or skeptical atmosphere. a. Size and shape are more important than the physical structure of the substance she is trying to influence. b. Weight and dimensions of objects she is trying to move are important; the weights vary from a few ounces to nearly one pound. c. She finds moving a vertical cylinder easier than moving a horizontal one. d. She causes no changes in the shape of soft objects during movement. e. The direction an object moves depends on her will, and may be either toward or away from her. She can also cause rotational or vertical movements to occur. f. Kulagina’s optimum field effect occurs at approximately 1 1/2 feet; her distance limit is approximately 3 feet and 4 inches, when the object to be influenced is 3 feet from the edge of the working surface. At these distances she is said to be able to move one object out of many, depending upon where she centers her concentration. a. An electrical field is generated in the vicinity of the object she is attempting to influence; however, there is no measurable field between Kulagina and that object and no sparks are observed. b. She can exert no effect on an object situated in a vacuum. c. Electrostatic screening has no effect on her powers, which seem to be better with the object under a dielectric [non-conducting] cover, but she is unsuccessful during storms or other atmospheric conditions when there is a greater than normal amount of electricity in the air. She cannot, at any time, exert an influence on an electroscope. d. She can cause luminescence of crystal lumiphors and produce changes in the spectrum of visible light absorbed by liquid crystals. Dr. Adamenko has found that Alla Vinogradova produces effects similar to those of Nina Kulagina, but undergoes far less physiological stress. In some of his experiments with her in Moscow, during which she moved a variety of objects about on a dielectric surface, a great deal of electrostatic (ES) energy was measured around the objects (supposedly enough to light a small neon glow tube). The measurements detected field pulsations which were synchronous with Vinogradova’s respiration rate, heartbeat, and brain alpha rhythm pattern; however, the region between Vinogradova and the object contained no energy fields nor frequencies, and the ES energy increased in intensity as the objects were approached. …more significant is the fact that Soviet and Czech scientists are pursuing an interrelated, unified approach to determining the energy sources and interactions underlying PK and appear to be far ahead of their Western counterparts in this goal. Clearly there is a great deal of information to absorb and to consider within this document. Many of us might not have been aware of the anomalies surrounding the phenomenon of psychokinesis, including the creation of measurable electromagnetic, electrostatic, magnetic or gravitational fields around target objects. And even more importantly, the energetic field around the objects was showing the same rhythms as those within the person’s body – such as heartbeat and respiration rate. Consequently, if a person is able to create all of the main "fields" that we observe on the macro level by consciousness, (excluding the atomic-level weak and strong nuclear forces,) then we should clearly put consciousness at a higher plateau than these other forces, as a unifying factor for all these forces. In other words, if the fundamental forces of nature that our scientists have observed can all be created or harnessed by a force of consciousness, then ultimately they must all be connected in Oneness. Furthermore, Kulagina’s experiments with PK clearly demonstrate that the amount of love or sympathetic vibrations in the room had a noticeable effect on her results - skeptical, tense atmospheres created much more energetic stress on her than calm and relaxed, supportive situations. Our ultimate contention is that all of the fundamental fields – gravity, electromagnetism, weak nuclear and strong nuclear force – must emanate directly from the aether, a unifying force of sympathetic vibrations that forms all of physical reality as we now see it. Consciousness is fundamentally interwoven with this process. If the Unified Field is pure energy, and the energy must move to form all of physicality, then ultimately Consciousness is another from of aetheric movement. Once a person is properly trained, they can use their consciousness to create motion in the aether in any of its forms, including the commonly observed force fields. And as the Russian scientists have demonstrated, this is no longer speculation; this is experimental data. In our next chapter we will venture into a discussion about how these concepts of aether and consciousness expand out into the cosmic context – where planetary energies are seen to have a structured effect on human consciousness, thus marking out the passage of time. We will also review data that suggests that alternative planes of existence are indeed a tangible reality, and that the soul of the human being can exist in more than one plane at a time. At the end of the next chapter we will post a review of the contents of these two chapters combined.